I know I waxed pretty lyrical in the last post about Marrakech. 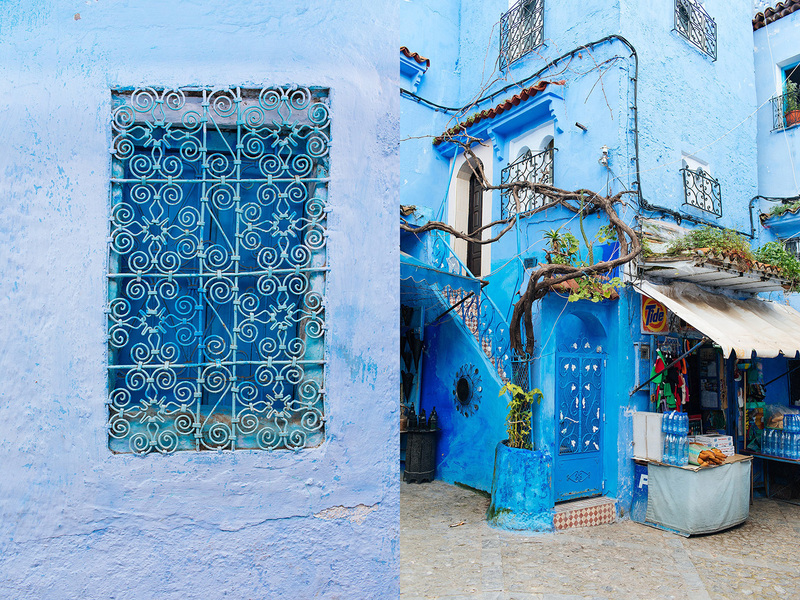 So I’m going to try and keep it a little more streamlined when it comes to Chefchaouen, and let the blues do the talking. 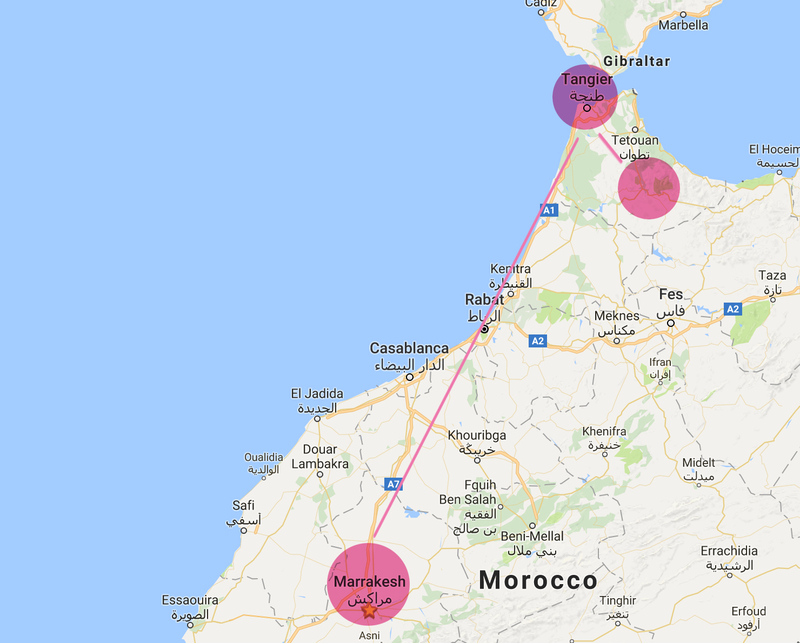 You might remember, the last blog post left off just as we boarded the overnight train from Marrakech to Tangier. 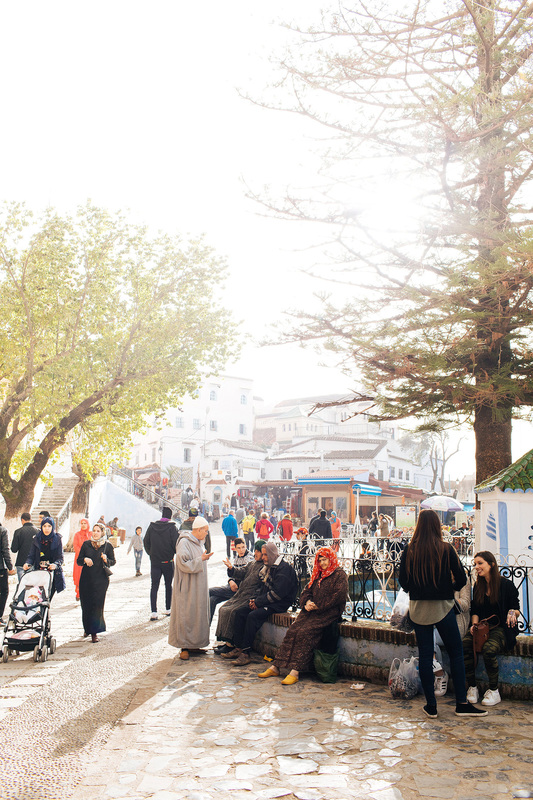 Logistically speaking, to take the train to Tangier and then double back to Chefchaouen might seem a bit of a roundabout way of getting there… But we had a limited amount of days in Morocco and we wanted to waste as little daylight as possible in travelling. 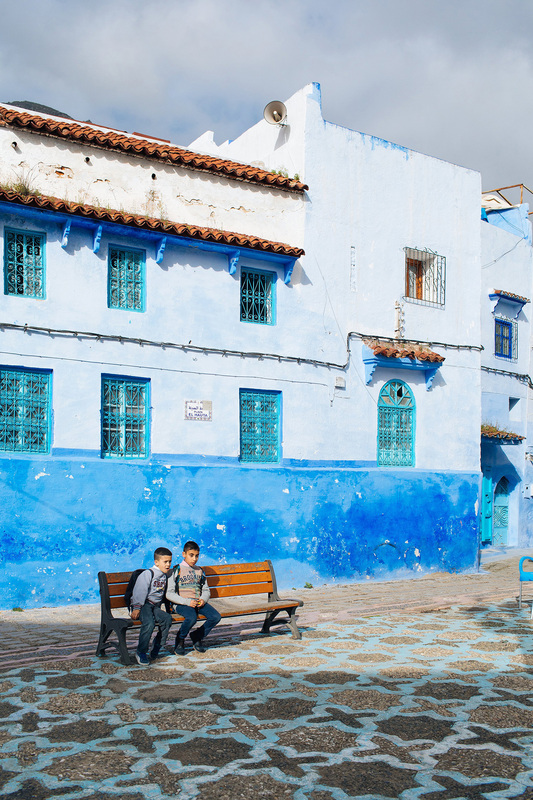 Tangier is much further north than Chefchaouen, but there was no fast, easy and direct way of getting there which didn’t involve a train or bus change, so the overnight train to take us most of the way was best solution for us. 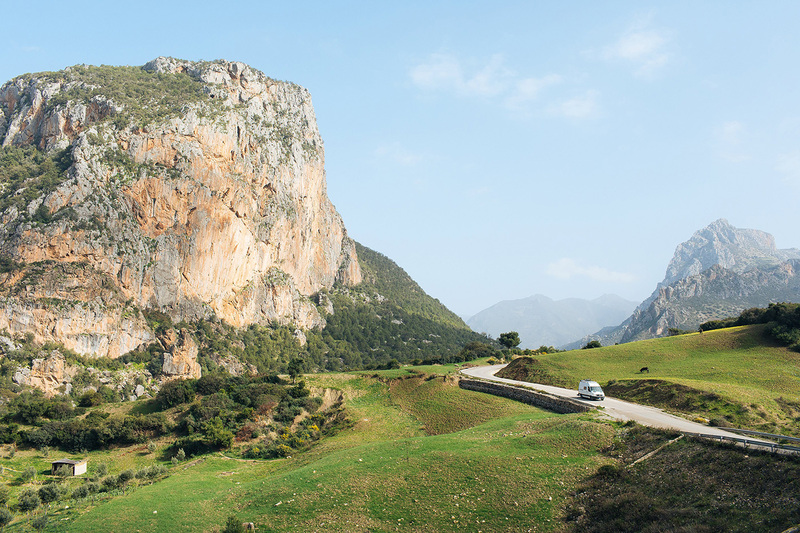 We’d kind of been holding out hope that the three of us would be able to luxuriate in our own private 4-bed compartment on the journey, but it’s such a popular route that we ended up having a roommate in Francisco the Spaniard. A totally amiable gentleman who thankfully did not snore (we all do, so no judgement there), and who also put up with our excited gabbling for much longer than he needed to. Thanks Francisco, you were a gem. 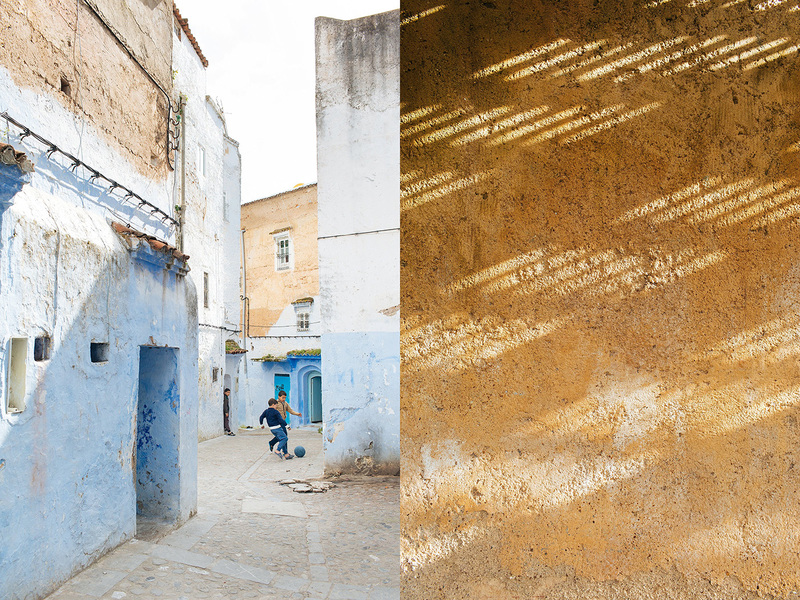 We boarded the train at around 8.45pm, and woke bleary eyed at 7am just as we were rolling into Tangier. The poor taxi drivers outside the train station quickly learned not to harass these three caffeine-and-sleep-deprived travellers as we practically sprinted through the crowd of drivers that surrounded us, in desperate search of breakfast and coffee. Whilst we had thought ahead and brought snacks with us on the train, cookies and chocolate bars only sustain you so much, and we were haaaaaangry. Breakfast sorted, we grabbed a grande taxi (super cheap when split between three) and made our way to Chefchaouen. Whilst all the websites and guidebooks say to be wary of the guides that ‘prey’ on the tourists at the entrance to the Old Medina, I say good luck to you if you can figure out where you’re going by yourself. If your riad (like ours) is a bit further out than you thought, and you are dragging your bags and gear through cobbled streets with no real idea of where you’re headed (medinas are traditionally mazes, and we didn’t have wifi to access Google Maps) then yes, by all means help yourself and these guys out and give them 50 dirham ($5) to show you the way. Everyone’s just trying to make a living best they can. And you can surely spare five bucks, right? 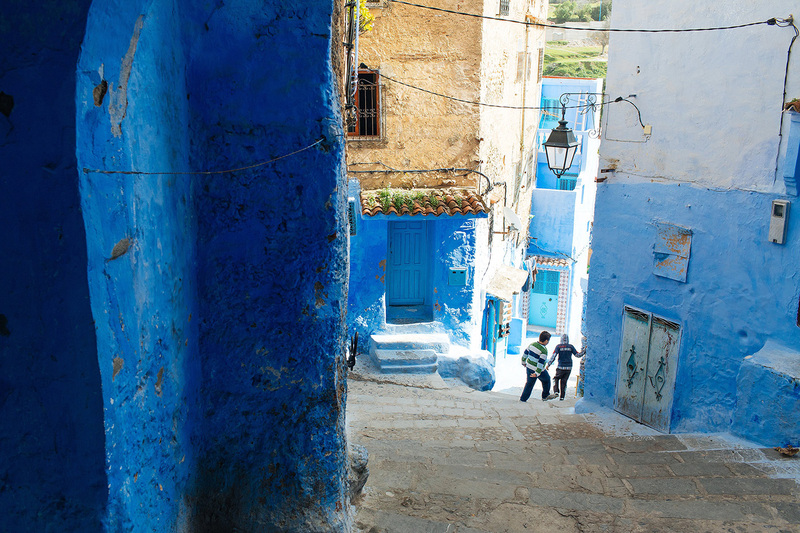 The approach to Chefchaouen had us a little nervous. As the taxi ascended and wound it’s way over the hills, we were a bit dubious as we saw a lot of white and very little blue dotted around the landscape. “Uhhhhhhh, where’s all the blue?? Did every damn photographer who’s been here lie? Is nothing sacred any more? 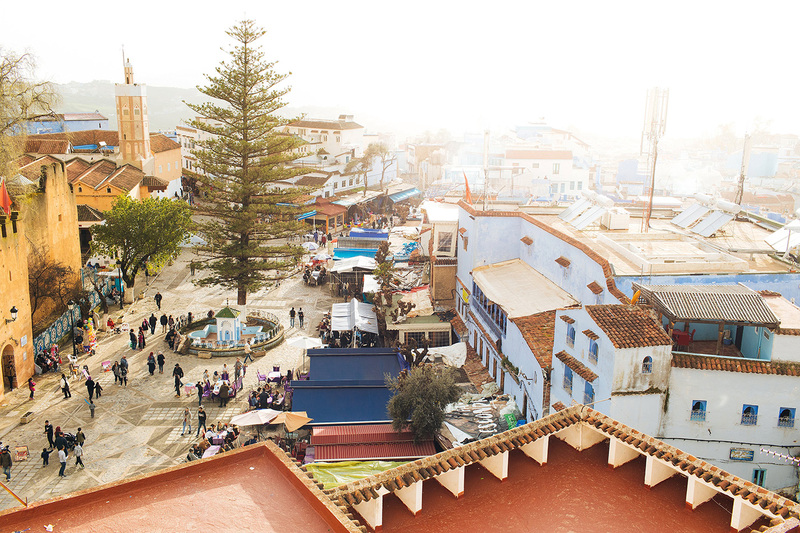 !” Like many places in Morocco, the most photographed and oldest parts of each city are held within the Medina. 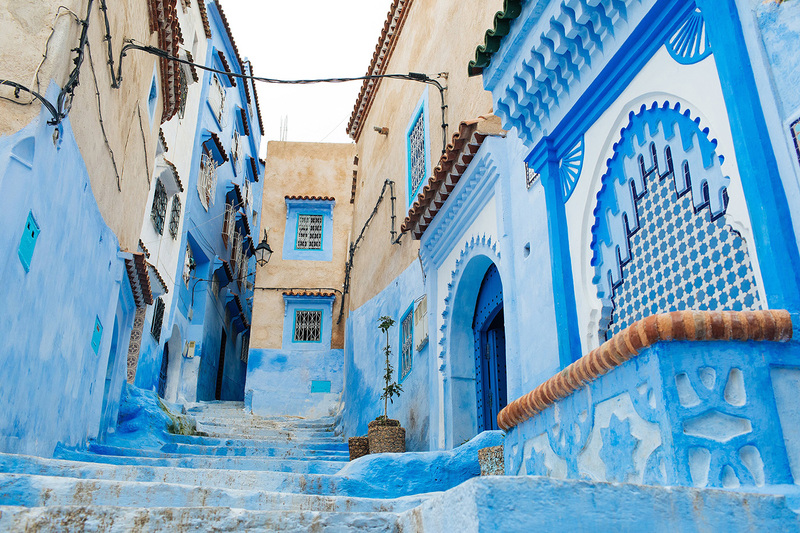 Like Marrakech, Chefchaouen has an old town and a new town, and the old town remains hidden from view until you walk through one of the gates and discover it on foot. 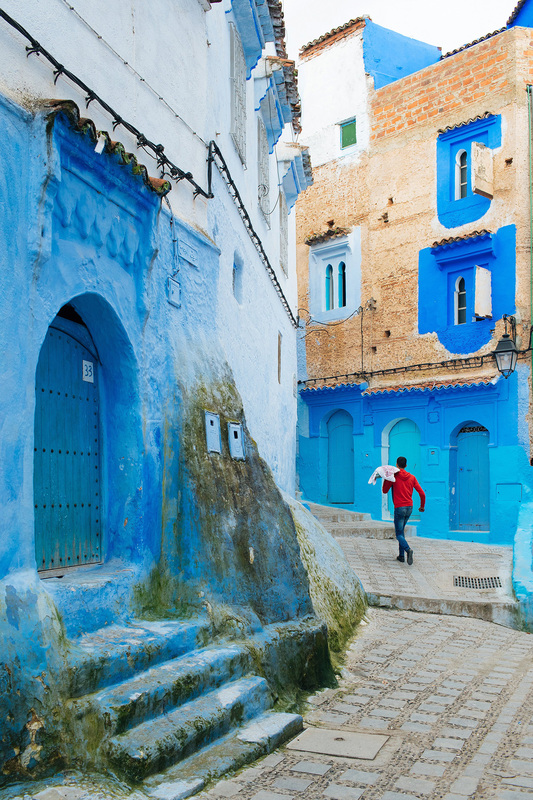 Walking around Chouen is kinda like being at Disneyland – total sensory overload for the eyeballs. Please remember to make a lot of room on your memory cards. And good luck wiping that stupid grin off your face. 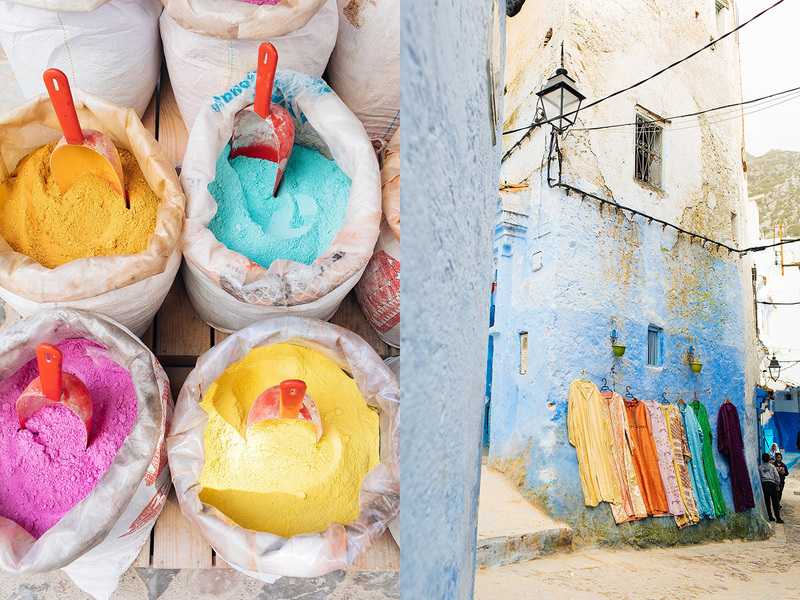 Powdered paint and stalls selling all manner of touristy goods line the streets. At the top of the city. Lisa near the city walls. 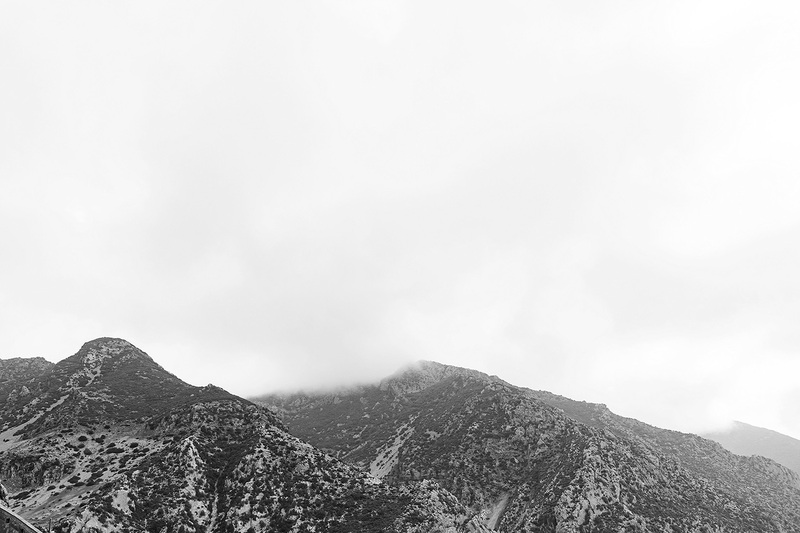 The city is surrounded by high mountains. 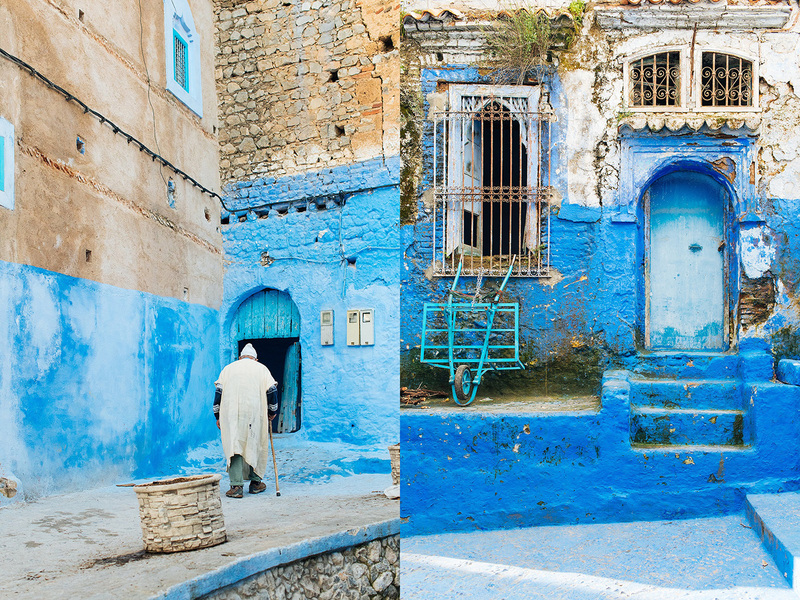 All told we spent two days in Chefchaouen, and honestly we felt that was about right. 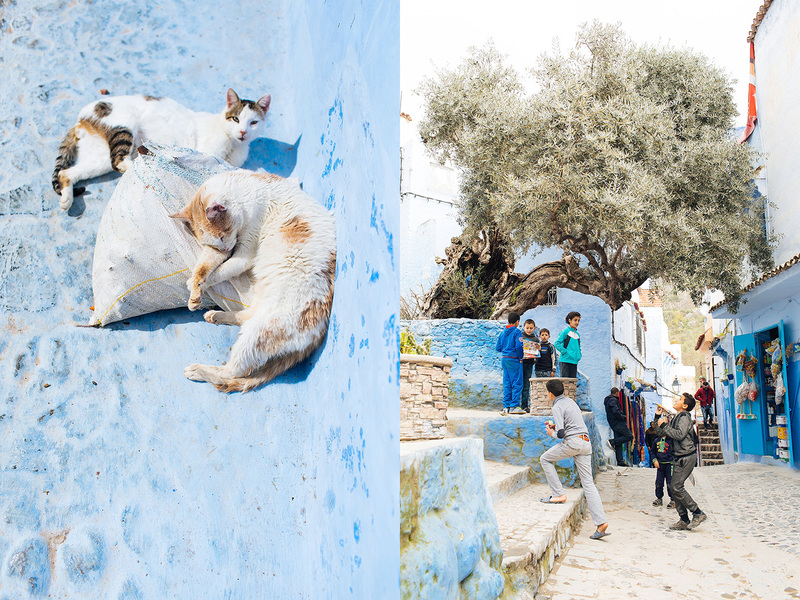 During our time there we wandered the medina from top to bottom and back again, clambered to the old fortress wall to look out over the city, got offered hashish more times that we could count, came across so many genuinely kind people, made friends with all the cats (maybe someone let one sleep the night in their bed – Lisa), discovered one of the few places in town to get an ice cold beer, and took more photographs than we could possibly have anticipated. 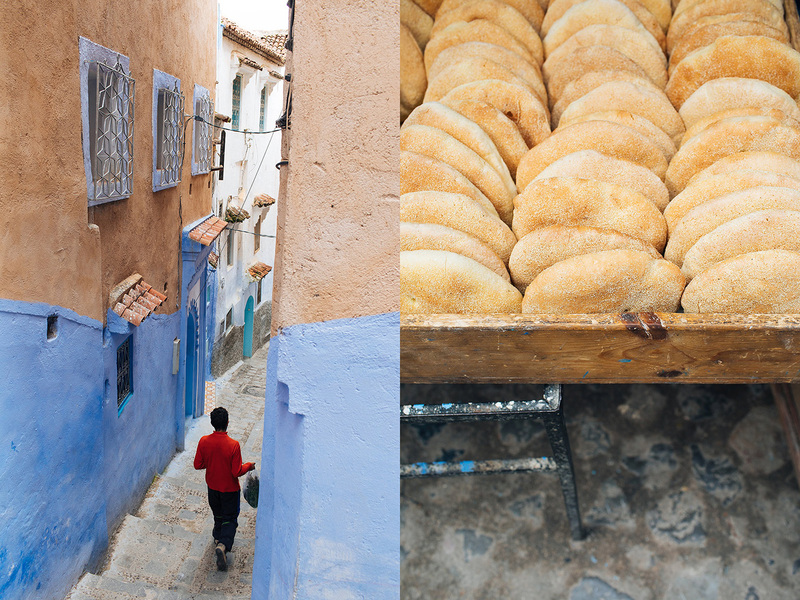 Moroccan bread is really, really good. Not pictured here, but our favourite was the flatbread, drizzled with honey. 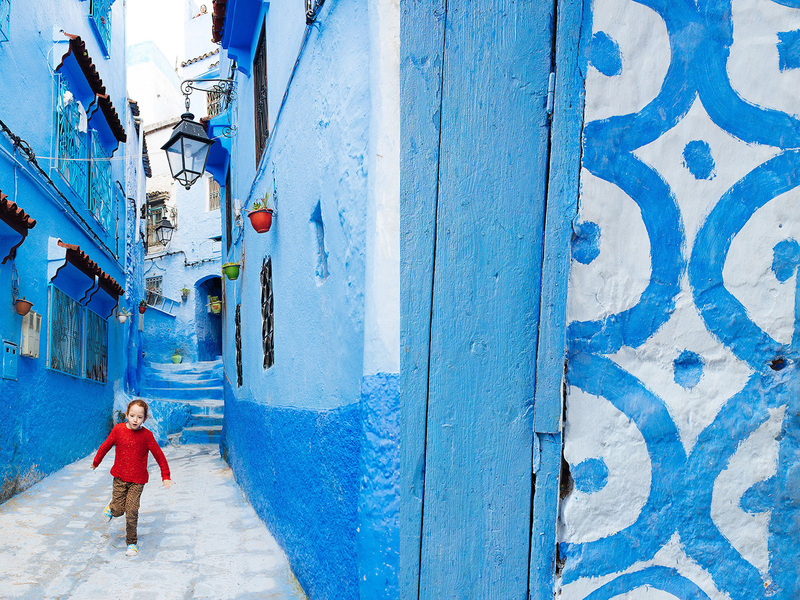 Seeing kids playing marbles on the cobbled sloping streets filled me with absolute nostalgia. I don’t understand the words they are excitedly shouting but damn do I remember that feeling. And I’m kind of in awe of how they manage to play on such irregular and sloping paths. Respect, kids. 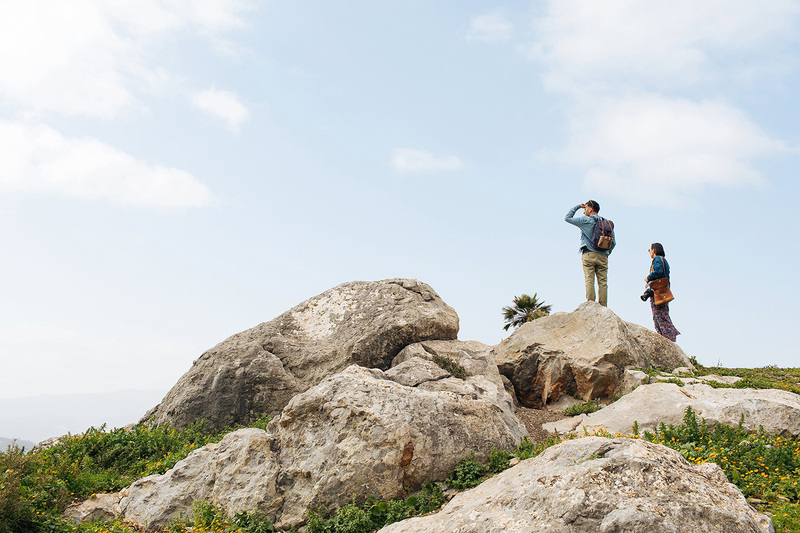 On our last day, we decide to leave our blue haven and venture a bit further afield. The waterfalls at Akshour have a reputation for being incredibly beautiful, and, eager for a change of scene, we got into our togs (that’s Kiwi for swimsuit) and headed out. Now, word to the wise here: We did it all wrong. We didn’t realise that it’s actually a 2 hour hike each way to get to the falls, after arriving in the village. Sadly we’d left it too late in the day, and we wouldn’t have made it to the falls before nightfall. But we made the absolute most of it, and took our picnic lunch to a nearby stream where we sat in the sun and ate and chatted and watched the world go by, walking out of the park just as the sun was setting. Not everything goes to plan when travelling, but we all agreed that actually, we had the best time. Picnic lunch of local pastries and oranges for the falls. 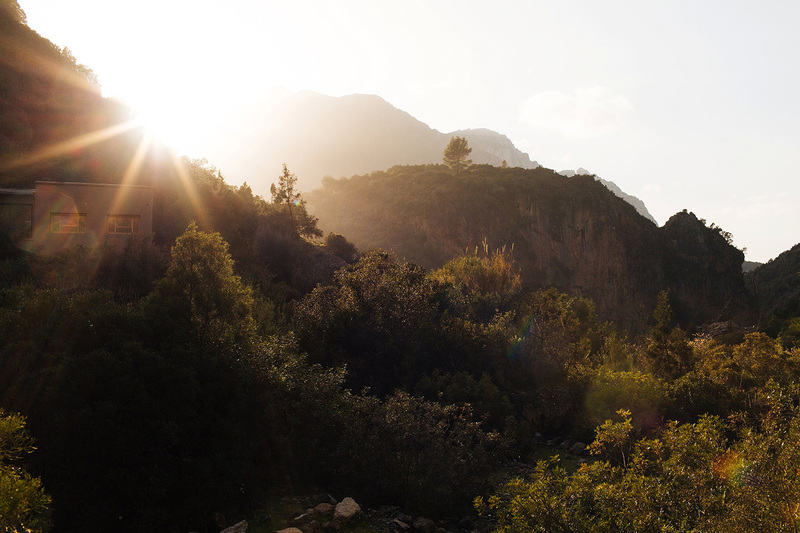 The sun setting as we make our way out of the park, and head back to Chefchaouen. Mishmish the hotel cat demanding our leftover pastries (after spending the night in Lisa’s bed). 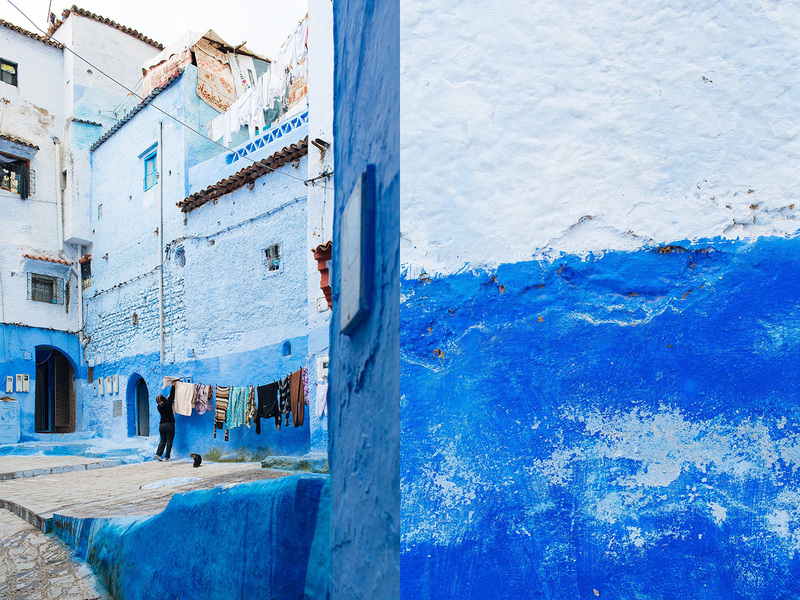 And that, my friends, was Chefchaouen. 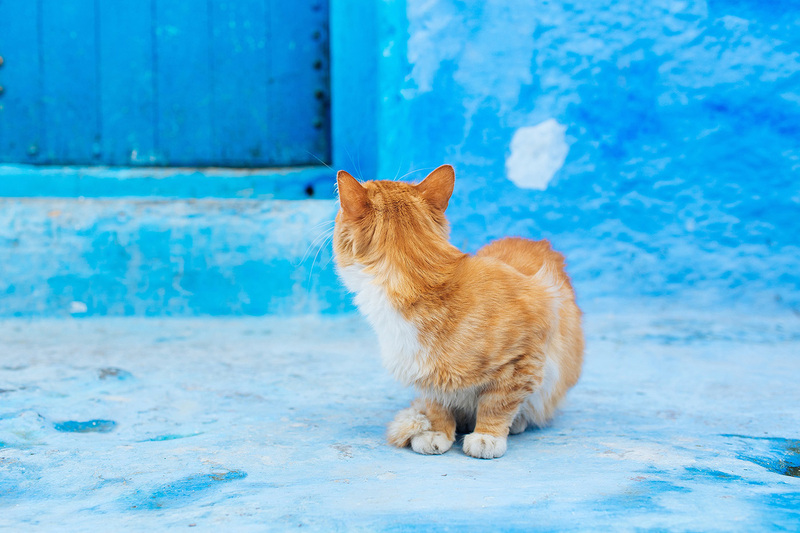 Where we found the best kefte, made many new cat friends, and got lost in a sea of blue. 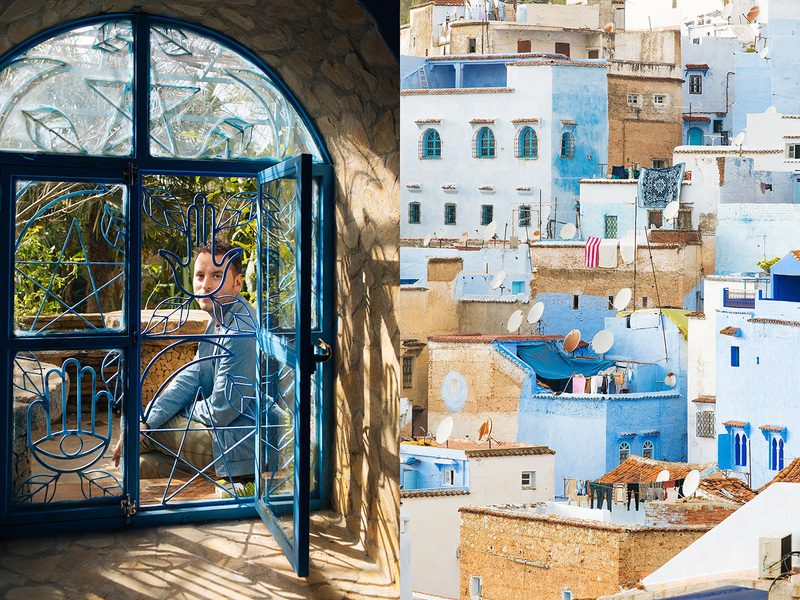 That place was definitely good for the soul… Last stop: The labyrinthine city of Fès.